Last week was crazy. 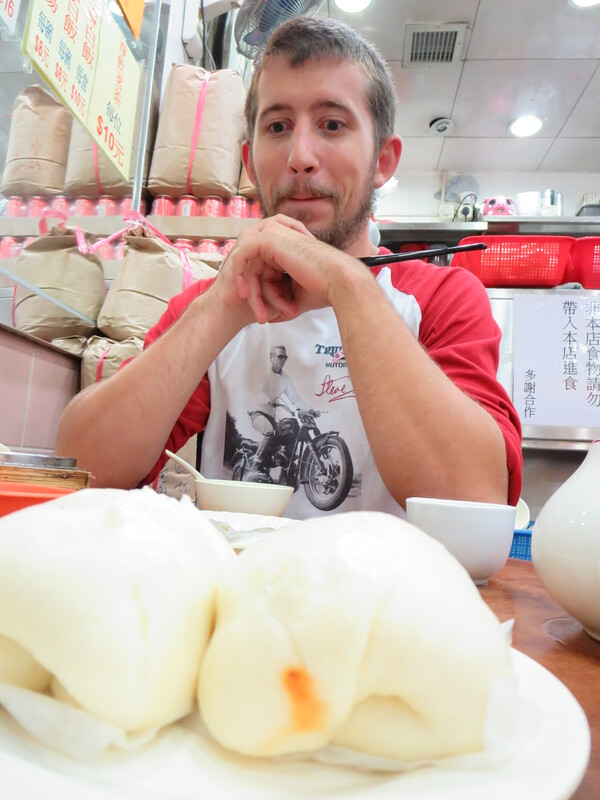 Spenser and I had our first real taste of traveling around China, and Hong Kong was definitely the highlight. As you know from Spenser’s last post, it’s incredibly easy to get around the Fragrant Port and everybody speaks English! For someone who’s terrible at Chinese (me), it was a welcomed relief to hear my native tongue after two months of pantomiming. Busy street in Central Hong Kong. When we first arrived, we had no idea what we were doing. Spenser is a big fan of, the “Let’s just go and see what happens” style of traveling, so we took the metro to the stop that said “Central” on Hong Kong island. Seemed like the best idea at the time. We got off the train and we were immediately swarmed by luxury. Armani, Dolce & Gabbana, Bulgari, Burberry…you name it, they had a store in central Hong Kong. Even Crocs got in on the action. Noticing that we would probably be unable to afford anything in the immediate vicinity, we chose to explore the side streets in search of some lunch. And we were rewarded! 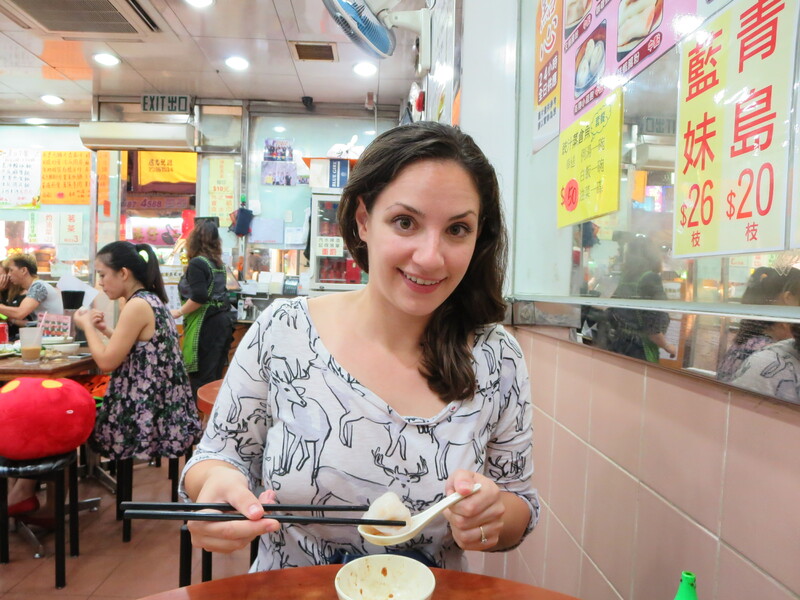 Hong Kong is an international destination so they have access to great international food! We found a small Vietnamese restaurant and filled our stomachs with bahn mi and pho. After surviving off of Chinese food for awhile now, the new flavors were more than welcome on our palates. 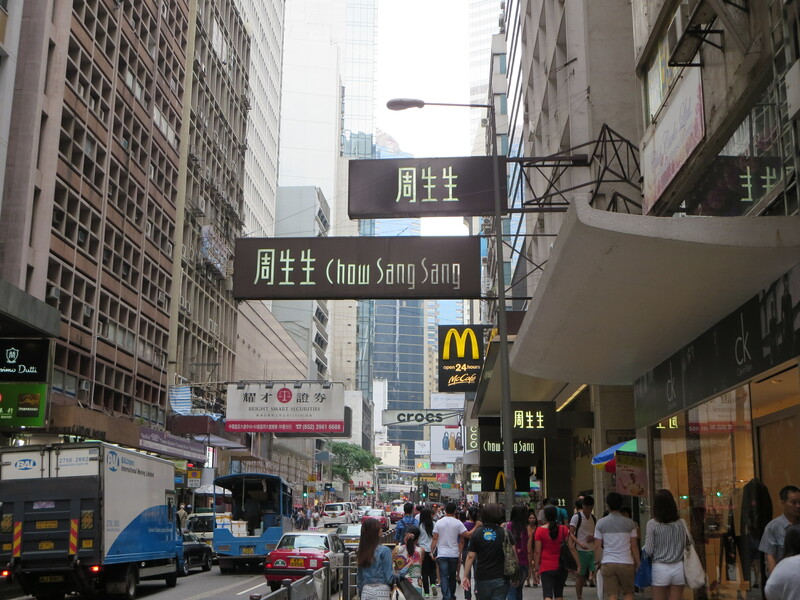 After lunch, we wandered around Hong Kong island for a bit. What I found interesting about Hong Kong island in particular was the fact that everything was built literally on top of everything else. The island has a ton of hills so everyone simply builds “up” instead of building “out”. It was a little disorienting at first. I was constantly looking around and seeing shops upon markets upon apartments upon offices. It became exhausting but it also felt somewhat familiar. The longer we were there, the more I was able to notice and feel the history around us. So many of those buildings had been there for years and it had an quirky, old quality to it that reminded me of somewhat of the French Quarter. Part of the Sun Yat-Sen walking tour. The more we walked the more fun we had. 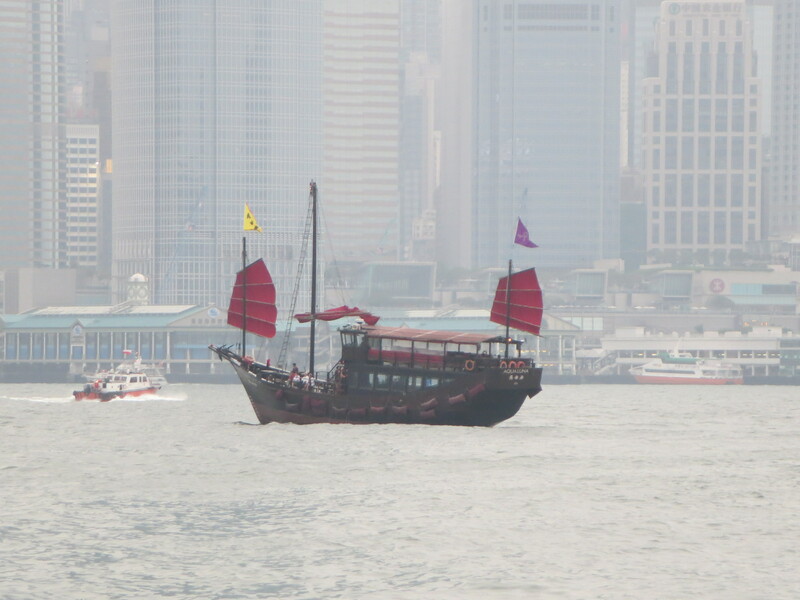 We visited Victoria Harbor from both Hong Kong island and Kowloon and the views were splendid, even on a cloudy day. Dim sum beckoned us as night fell. Hong Kong is wonderful but it’s not cheap. 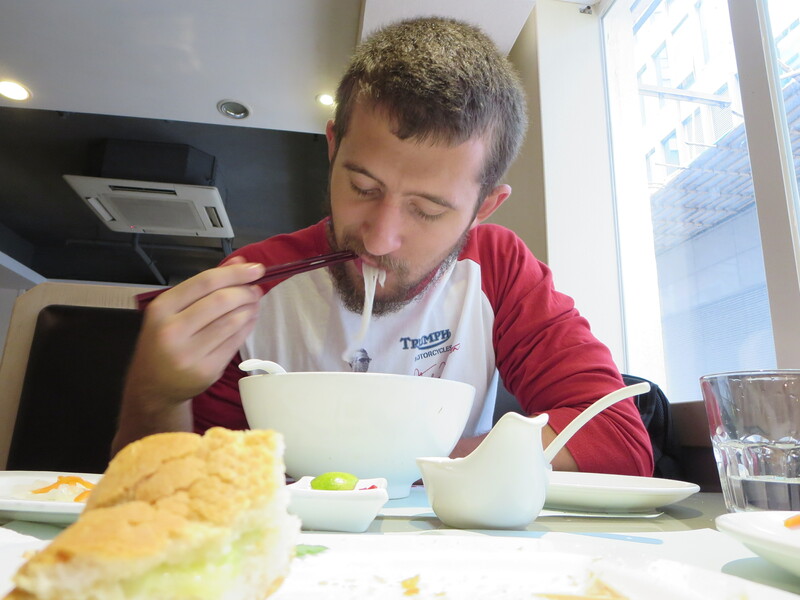 Food is was the biggest expense of our short vacation so we were extremely pleased to find good dim sum on the cheap. Shrimp dumplings in a delicate wrapper, steamed pork buns, Shanghai-style soup dumplings. Delicious. Our final adventure of the day took us to Temple Street Night Market in Kowloon. This is the best place to shop in Hong Kong. Forget the ritzy, expensive stores on Hong Kong island, this place is a bartering mecca! Spenser and I had a blast walking amidst the vendors and consumers. We each found some goodies—Spenser got a handsome man-bag, I got a beautiful knock-off Jimmy Choo purse. We hid from the rain at a nearby restaurant and, after a few beers, we headed to our hostel to call it a night. Great pictures and fun following your aventures.